To involve the industry in development of rare disease diagnostics and therapies. To engage all relevant ePAGs, HCPs, other WGs and other ERNs and relevant professional groups (eg ESPE, ECTS, ICCBH) and regulators (EMA) in order to ensure patient benefit, inclusion and collaboration. Specifically to liaise with patient groups to identify and prioritise the clinical trials needed in relation to unmet need. To map HCPs from European countries with lower access to innovative medicines (e.g. Romania, Macedonia, Albania, Hungary) that don’t have a set up scene to access to phase 2 and 3 trial studies, in order to decentralize access and favour innovation in countries that need it the most. To develop a robust process for interaction with industry. 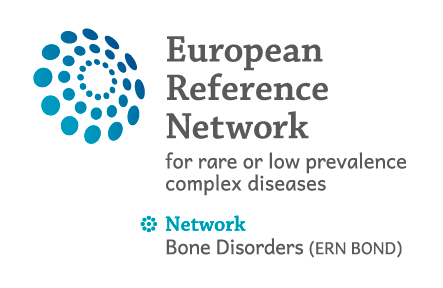 To identify the cohorts of relevant rare bone disorder patients in the HCPs. To develop the basis for the ERN to support investigator-led studies, including an understanding of what the methodological, ethical and legal challenges for clinical trials across multiple Members might comprise, and the difficulties of obtaining funding for such research. To scope existent drugs that can be included in repurposing plans and eligible for orphan drug designation at EMA.